You can cancel your subscription whenever you like. 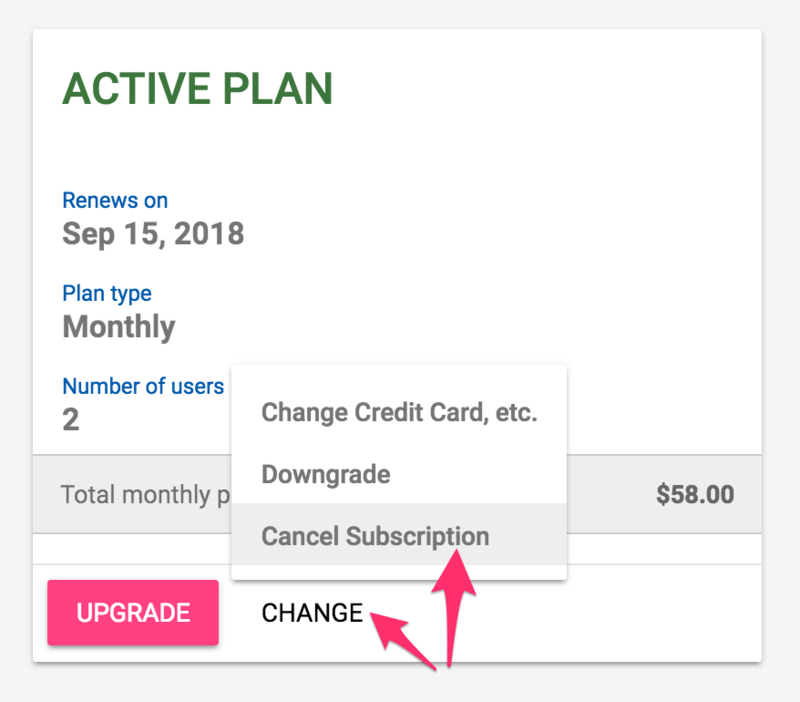 Subscription payments are charged at the beginning of your cycle, and cancelling will simply stop your account from renewing. Your subscription will still be active until your end date. 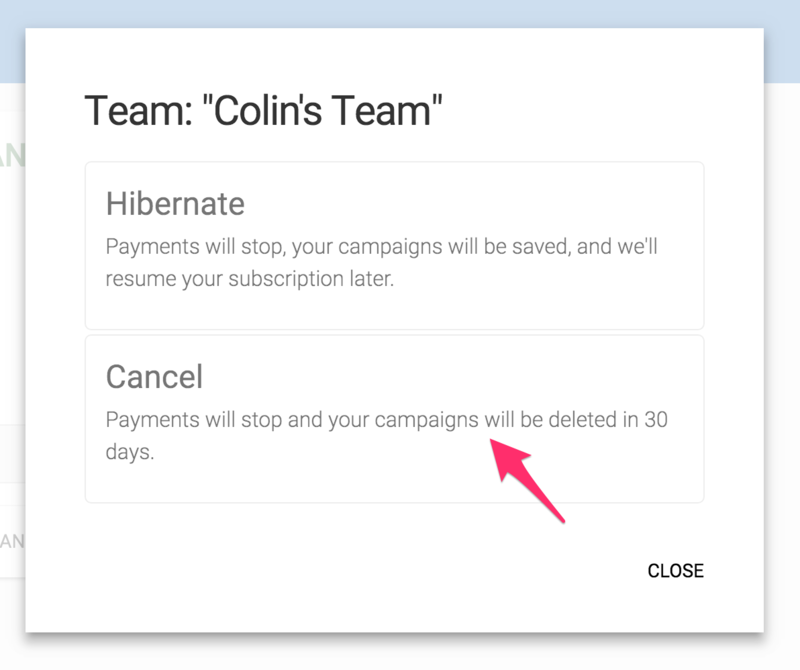 IMPORTANT: 30 days after you cancel, your campaigns will be deleted. If you'd like them to stick around but still not be billed for a while, consider hibernating your subscription instead. In the side menu click "Team Settings" and then "Billing"
Click "Change" and then "Cancel Subscription"